We all have a personal connection to Ponsonby Road. It is far more than just a thoroughfare. It is a celebrated destination and home to many residents and businesses. Over the years plans have been discussed as to how to fulfil the potential of Ponsonby Road while protecting the unique character and heritage. There have been some notable successes with the lowering of the speed limit and the return of the symbolic Three Lamps. The“hippest neighbourhood” of Ponsonby was recently listed as the 8th reason out of 20 to visit Auckland by visiting Australian journalists. However the strip has suffered from a lack of people spaces, cohesive planning and transport choices. 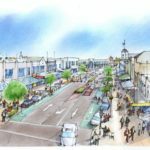 A draft Ponsonby Road masterplan has been developed through a unique, collaborative process by a working group made up of Waitemata Local Board members, the Ponsonby Business Association, community organisations, stakeholders and mana whenua representatives. The draft seeks to provide a vision of how Ponsonby Road can be developed over the next 30 years as a key shopping and entertainment destination, vibrant and connected to people. The proposals in the plan are themed around Land Use, Arts, Culture& Heritage, Transport & Movement and Natural Environment & Open Space. The draft has kicked off intense discussion and many passionate responses have already been submitted. One of the more debated aspects of the plan is over the options for making Ponsonby road safer for pedestrians and cyclists along its length. To achieve this outcome while balancing the needs of all road users, will require decisions around the prioritisation of the road space. The transport experts have told us that 28,000 vehicles a day use Ponsonby Road. This is significant but it doesn’t tell the full picture. The number is actually dropping now that the north western motorway is connected to the bridge and per capita car use is on the decrease. Only 10-15% of traffic is actually through-traffic travelling the entire road from top to bottom. The large proportion of local traffic creates big opportunities. With most trips being less than 5km more locals might chose to leave the car behind if there was a frequent, reliable bus service and safe cycle lanes. The draft sets out different road design options including a “Copenhagen” or separated cycle lane. Business owners have voiced concerns that cycle lanes are not good for business and is only for“greenies”. However all the most recent research demonstrates that bike lanes significantly increase economic activity. In New York after the construction of a protected cycle lane on 9th Avenue, local businesses saw a 49% increase in retail sales. In comparison, local businesses throughout Manhattan only saw a 3% increase in retail sales. There is also a perception that there is very little parking serving Ponsonby Road. In fact there are thousands of car parks nearby (on roads and in car parks) that are currently very poorly managed. A residents’ parking scheme like the St Mary’s Bay one would overnight give priority to residents and free up parking to short term visitors coming to the area to spend. 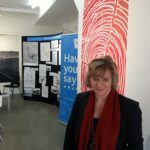 At the public meeting on the masterplan the Freeman’s Bay girl guides gave their feedback on the draft. Their priorities: 1. A playground. 2. Bikelanes (and hire bikes) 3. More trees. It really could be this simple. We just need to listen to all the feedback and plan with a 30 year vision that develops Ponsonby Road for future generations. 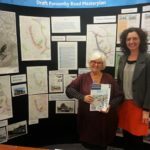 Copies of the plan are available at the Ponsonby Community Centre and online on the Auckland Council current consultations page. The deadline for feedback has been extended to Monday 15 September.